The heat is on and the water’s cool. Join us for a weekend at Smith Mountain Lake in Virginia’s Blue Ridge! 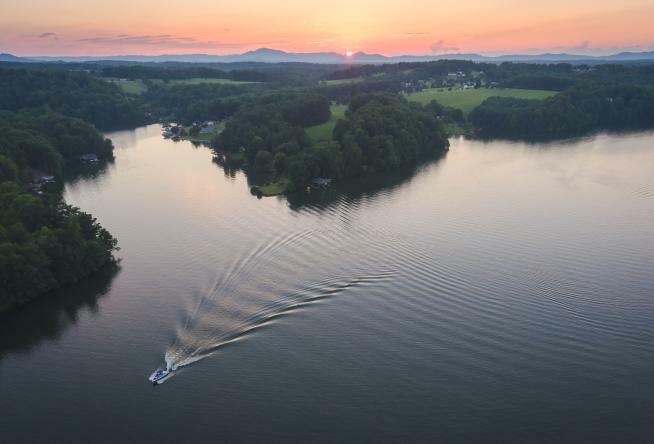 Smith Mountain Lake is a man-made body of water with 500 miles of shoreline crossing into three counties. The maximum depth is 250 feet, but there are plenty of shallow areas in some of the coves and near Smith Mountain Lake State Park (who loves a beach?!). SML (as we affectionately call it) is a great place to see both on-the-water sunrises and sunsets. The days are easy. You should be here. Chill out with some H2O time. Believe it or not, there’s more than one way to get wet and love the water at SML. Here are a few of our favorites. Visit Bridgewater Marina & Plaza to secure your daily boat, jet ski, paddleboard, and wake-surfing rentals. Smith Mountain Lake is widely known as a game fisherman’s paradise. Try your luck with a guided fishing charter with South Valley Anglers. Do you have a bit of adrenaline to burn off? Try your skills at Black Water Junction Wake Park! Get those toes in the sand on the beach at Smith Mountain Lake Community Park. Lunch and dinner dining cruises are bucket list worthy at SML, and reservations are available with Virginia Dare Cruises. Not everyone soaks up the sun on the water. Some of us prefer to keep our feet on the ground. For us, there are also plenty of options in the immediate SML area. Tee off on the par 72 golf course at Westlake Golf & Country Club in Hardy. Visit the furry residents of Smith Mountain Lake Alpaca Farm in Hardy. Be prepared that children will probably ask to take one home. Smith Mountain Lake State Park is a great launching pad for a boat and a place to warm up on the sandy beach, but it’s also excellent for those who love to hike, bike, and fish. Absorb some of our nation’s important slave and education history at nearby Booker T. Washington National Monument in Hardy. Waterside entertainment and shopping is available at Bridgewater Plaza. 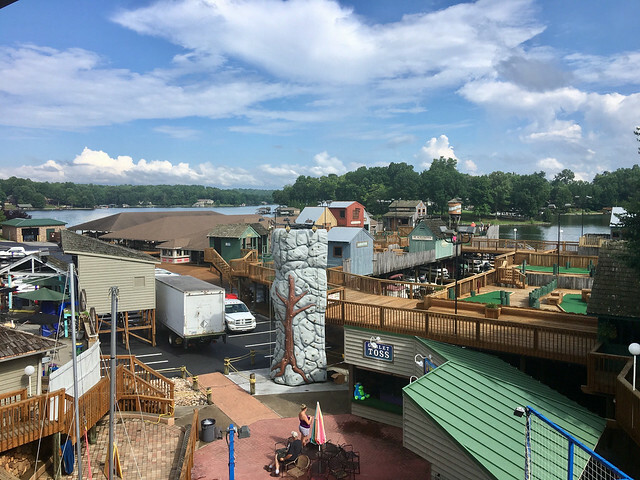 Get involved with decorating your own pottery at All Fired Up, check out the art galleries, drop a few quarters at the arcade, secure your next favorite water toy at the Smith Mountain Wake Company, or challenge your kiddos to a round of mini golf. Grab some popcorn and settle in for a Blue Ridge Day at the movies at the Westlake Cinema. Everyone needs a great meal, a sweet treat, or even a fine adult beverage. Indulge your getaway whims for all of those at these fine establishments. Breakfast at Old Oak Cafe is a filling way to start the day. We like the Old Oak Breakfast. It’s two eggs, your choice of meat, toast, and a side. Carbing up for a long day on the lake might be ideal, so consider the hashbrown casserole. Dinner at The Landing Restaurant includes waterfront views, but be sure to pack something a little nicer than your cut-offs and flip-flops for this fine dining experience. More waterfront dining is available at Mexico Viejo. Located at Crazy Horse Marina, we recommend the margaritas and a seat on the deck to watch the boats go by. If you&apos;ve worked up an appetite from spending a day on the water, chow down on the giant slices of delicious pizza at Benny Adelina&apos;s. For large groups, you can also order a 28" whole pie. Everyone will scream when they find out Virginia’s favorite homemade ice cream is nearby at Homestead Creamery in Wirtz. Toast the #lakelife with a mini winery tour. Brooks Mill Winery and Hickory Hill Winery are both nearby. Brooks Mill specializes in fruit wine, while Hickory Hill pours their six 2018 Virginia Governor’s Cup award winners. Dinner, drinks and live music at Mango’s Bar & Grill is a great way to wrap up the day after an evening on the lake. Better yet, Mango’s is right on the lake at Bridgewater Plaza. The fun is more than a day can withstand, so you’ll want to secure accommodations for a night, two, or maybe even three or more. 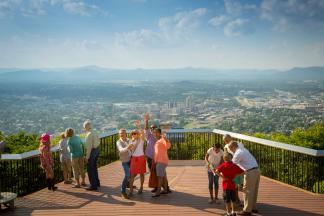 With the variety of lodging around SML, you can plan multiple getaways to take advantage of all the opportunities. There are a range of beautiful homes on the shores of Smith Mountain Lake. Many of them are available as vacation rentals, putting the lake right outside your door. Lake & Land Property Rentals, RSI Rentals, and CB Sales & Rentals all specialize in vacation rentals. Smith Mountain Lake State Park offers both camping and cabins, making it an affordable one-stop destination for accommodation and adventure. Lake Inn is an excellent choice for those traveling with pets, plus they’re fisherman friendly with charging areas for trolling motors. 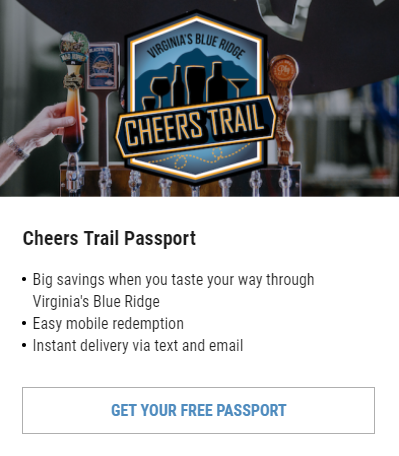 So what’s holding you back from a Smith Mountain Lake getaway? It can’t be the lack of ways to spend your time because we’ve given you more than a dozen. Come on down. You’ll never want to leave. Don&apos;t forget to tag #BlueRidgeDay on social media in all your adventures!